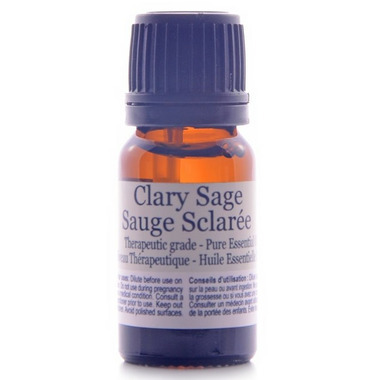 Clary sage essential oil is extracted from Salvia sclarea of the Labiatae family.Distilled from the flowers and leaves of the plant, Clary Sage essential oil is a deeply relaxing oil that imparts a feeling of well being. This essential oil is particularly soothing and relaxing when used to massage the abdomen during menstruation. Clary sage oil has great benefits - not only for helping with depression and nervous burn-out, but for a host of female complaints and for relieving congested complexions. Caution: Should not be used during pregnancy or on children under 16 years.Essential oils should not be used directly onto skin, therefore Finesse recommends using a carrier oil of your choice, or their wonderful massage oil (a beautiful blend of Sunflower, Wheatgerm, Sweet Almond and Vitamin E oils). Simply add few drops essential oil to 20ml of massage oil before using on skin. Alternatively infuse your oils in a vaporiser/diffuser by adding few drops to the water every few hours. Don't forget if you have a ceramic or glass fragrance warmer you can add your essential oil to warm water and heat whether electric or t-lite. If using in the bath add to carrier oil (a few drops into 1 tsp.) and run under faucet and enjoy. This essential oil smells amazing. Very happy with the quality.